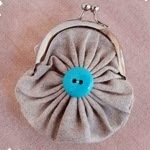 One of the great things about blogging is occasionally I get to test out new craft products and share them with you. 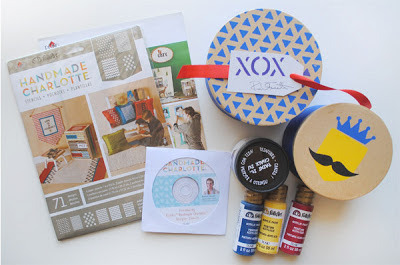 Recently I was sent a set of Handmade Charlotte Stencils designed by Rachel Faucett. She even sent me some candy in one of those cute boxes pictured below. I've never met Rachel but I suspect we would get along well. Anyone who sends me craft supplies and candy is my kind of person. 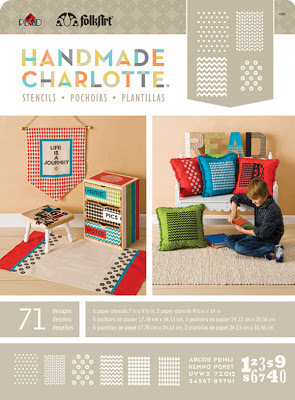 There are six different stencil sets available and I received the "patterns" set. 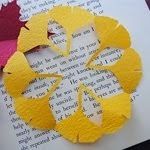 As I looked at the stencils, some of the patterns reminded me of prints I would see on origami paper. That's what gave me the idea to make some oversized origami paper. 1. Roll out paper and cut into a square. Use your yardstick to measure/mark the width and cut. I used white paper but a colored paper would look nice too. 2. Starting at the top of your paper (left to right), make raindrop pattern. To make the pattern, simply hold the stencil down on the paper and dab on paint with pouncer brush. You only need a little paint since you're working on paper. Too much paint will cause the paint to bleed under the stencil. 3. Let dry. You now have a nice large piece of patterned origami paper. If you're going to take the time to make the paper, I recommend making at least a couple of pieces of paper to work with. 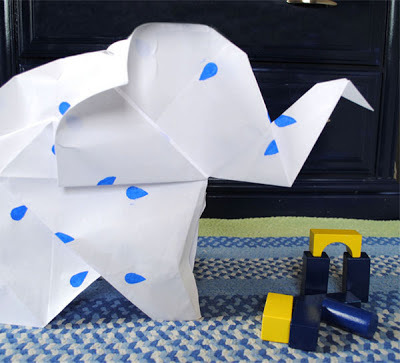 I used my oversized origami paper to fold an elephant. Next time, I might not space the rain drops as far apart (craft and learn). This elephant would make a nice decoration for a kid's room . It would also be cute as a table center piece for a baby shower. You can find the instructions for the elephant, here. Ooh so cuuuute! 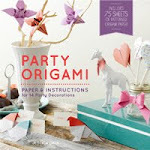 This is such a wonderful idea, it might even be helpful for a beginning origami folder, working in a larger scale. 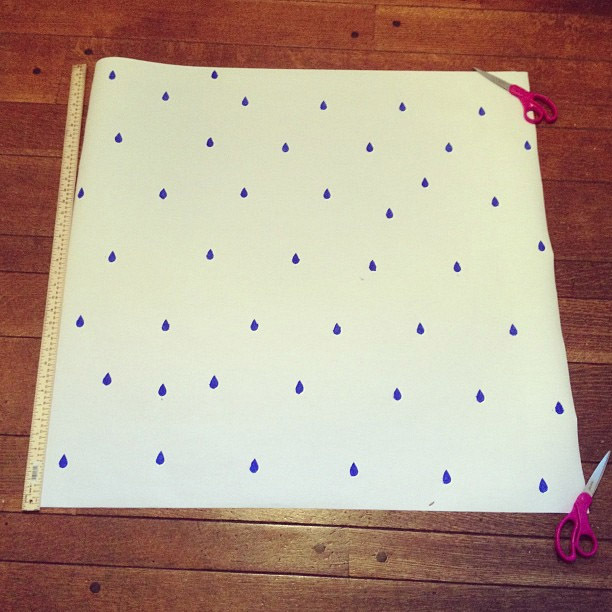 Love your elephant, and love the raindrop patterned paper! The elephant is adorable and I really like the yard stick you included for perspective in the paper photo. Unfortunately, the larger paper was harder to work with. It's hard to tell from the picture, but that elephant required a lot of folds. I kept thinking,"when are the directions going to end?!". I could see this as wrapping paper too - or maybe one pattern for wrapping and some kind of origami gift topper? Wrapping paper is a great idea! 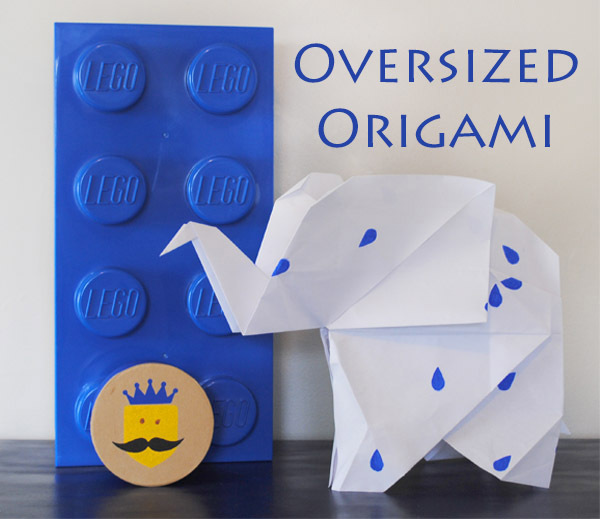 oversized origami is fun to do!